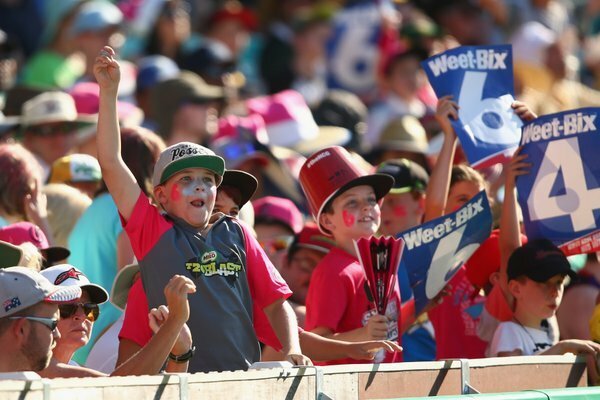 A crowd of 20,072 enjoying this performance from the @SixersBBL ! Oh Wells! 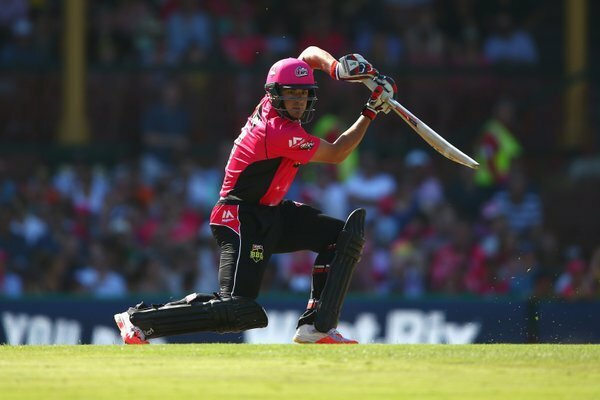 Hurricanes slump to 5-21 in the seventh over of the run chase. 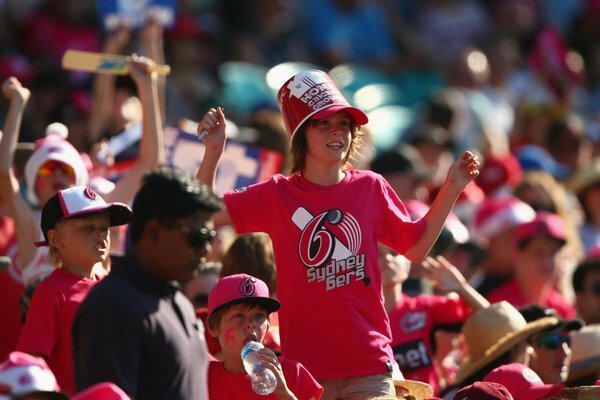 After 6 overs @HurricanesBBL are 4-21. We were 1-70. Bailey works the hat-trick ball for a single. 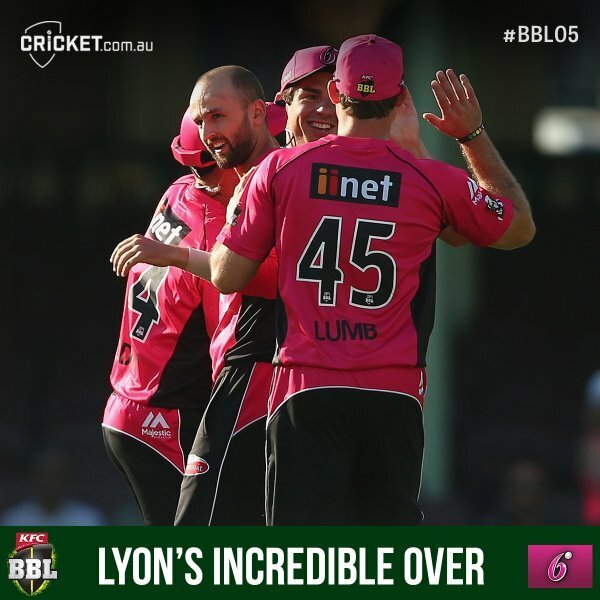 Great start from Lyon and the @SixersBBL ! Perfect start for the Sixers with Lyon getting the early breakthrough. 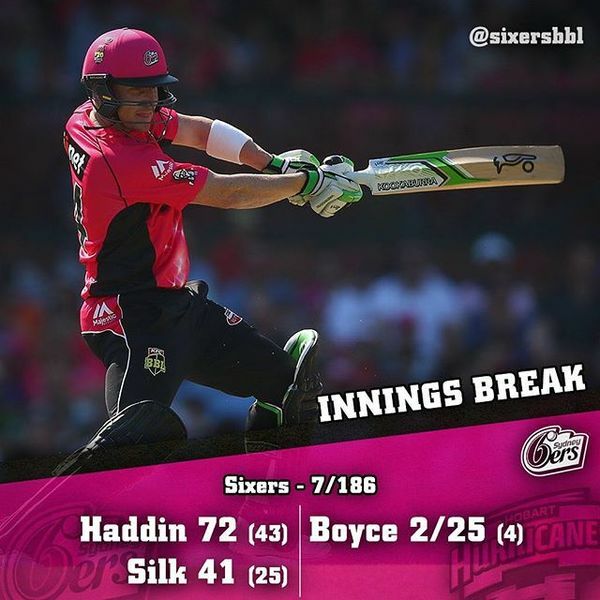 Brad Haddin was the star with 72 off 45 balls as @SixersBBL posted 7-186.